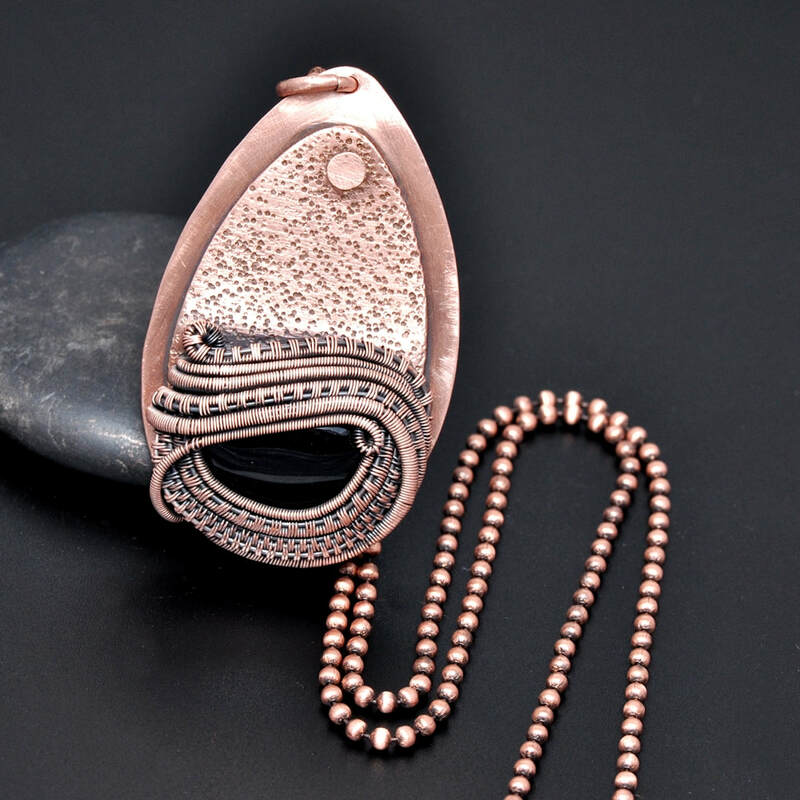 Learn to bezel with wire! Develop your cold-connecting skills with rivets and sheet metal! 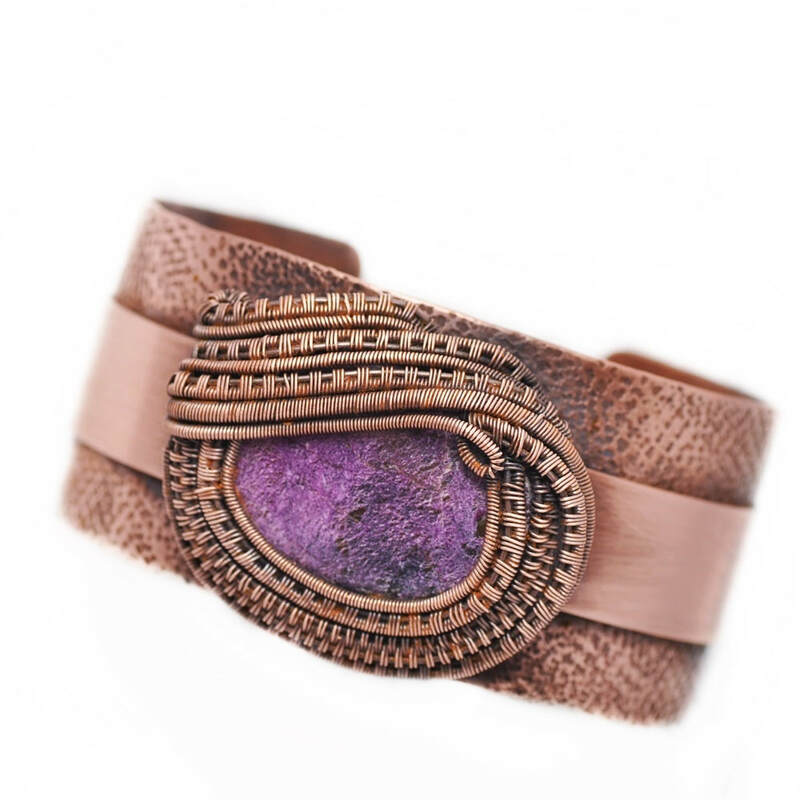 In this new workshop, students will combine skills and materials to form a wire bezel around a cabochon, creating depth and detail through weaves and coils, and pairing this with textured sheet metal to complete two projects. 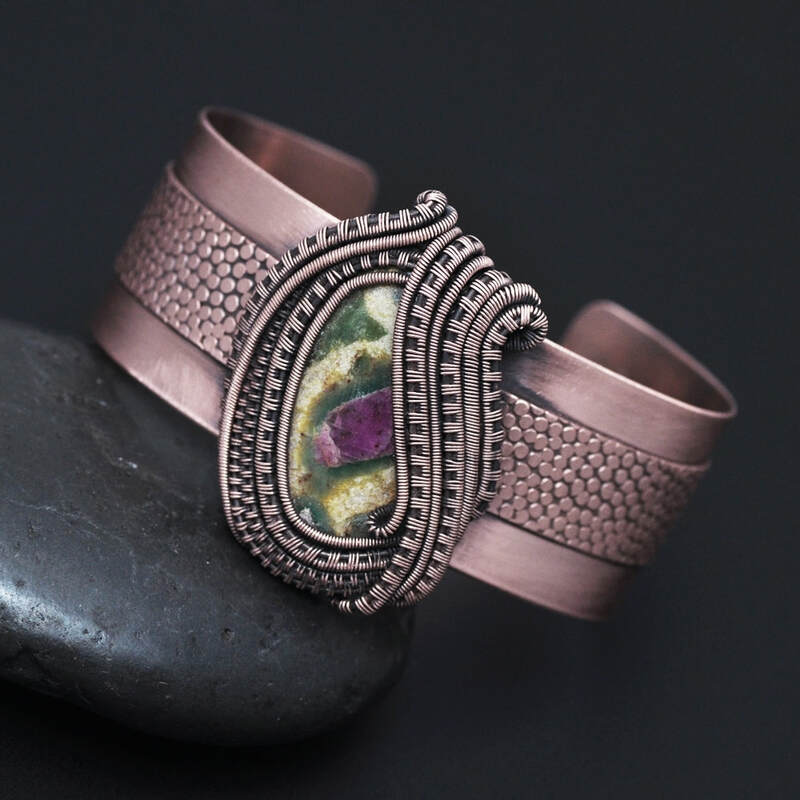 Students will create both a cuff and pendant, for a matching artisan set, using cold connecting techniques to bring together wire and sheet metal in harmony. ​Traveling? Check out lodging and dining options! Please note: This class has a minimum required student count. If this count is not met, the class will be cancelled. If you are traveling, please purchase travel insurance in case of cancellation.